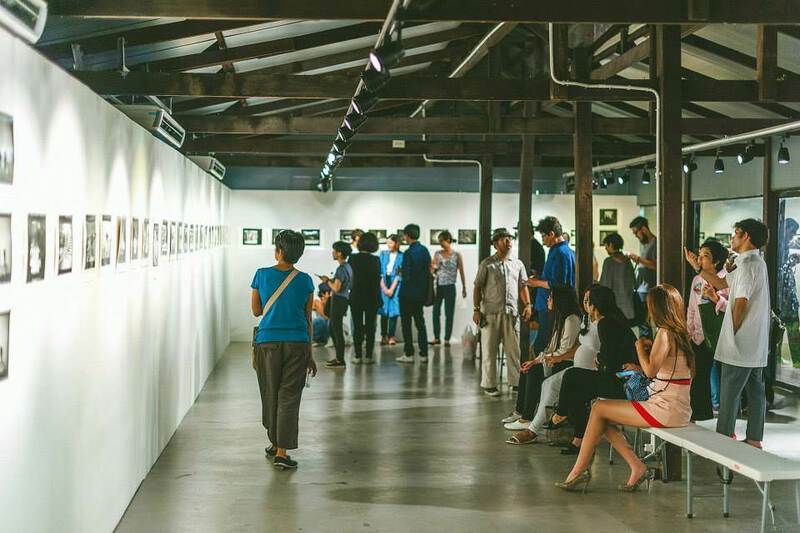 Bangkok’s Creative District art gallery hopping night is back! Bangkokians are once again invited to roam the streets of the Creative District and go to the sundry art gallery spaces showing bodies of work by the international artists. First held in December 2014, the art gallery hopping has since become an established event in Bangkok. In recent years, art spaces have popped up in Bangrak and Klongsan districts. Each is unique in design, concept, and features artists carefully curated to match the art gallery’s personality. The art gallery hop is a collaboration between the art galleries and a coordination with one another to create a special night for art lovers. Participating spaces are opened until at least 11pm with special events and activities planned for gallery hoppers. Download the art gallery hopping map (posted on the gallery hop’s Facebook page) of suggested routes and itineraries and a list of special activities happening that night. Grab your walking shoes and get ready to explore. Though some food and drinks will be available at various venues, it is recommended that you bring some water along to cool you down or stop at some of the eateries within the area during the hop! Enjoy the art gallery hopping, take some photos and don’t forget to hashtag the event when posting on IG, FB or Twitter: #CDgalleryhopping and #bkkrvr (case insensitive).